My NY’s book resolutions seem to be going good: I’m exactly on track for my 52 books challenge and I haven’t bought a single book yet. I am allowing myself to buy 12 predetermined books this year though, and one of those will be Midnight Blue-Light Special. It’s the second book in Seanan McGuire’s Incryptid series, again starring Verity Price, monster hunter/protector and professional ballroom dancer. I loved the first book; Verity is such a fun character. Plus the talking mice are awesome! Alliances will be tested, allies will be questioned, lives will be lost, and the talking mice in Verity’s apartment will immortalize everything as holy writ–assuming there’s anyone left standing when all is said and done. It’s a midnight blue-light special, and the sale of the day is on betrayal, deceit… and carnage. 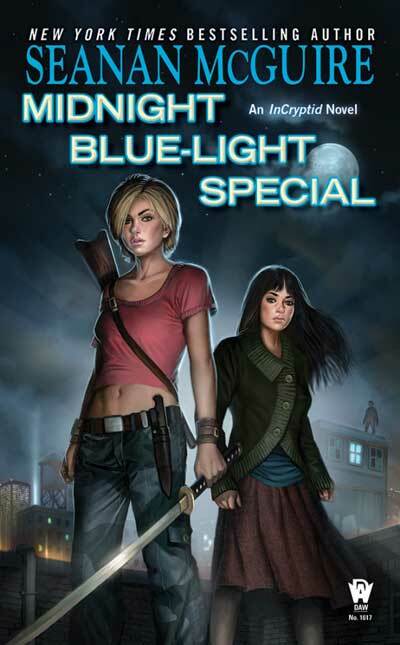 Midnight Blue-Light Special by Seanan McGuire will be released on March 5 and will be £4.94 on Amazon.co.uk and $7.99 on Amazon.com.